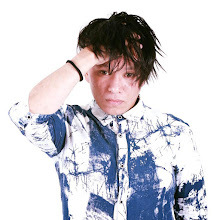 This month turns out to be a very busy month for me (at times stressful too). Too many things to get time and only one of me. So, you can imagine the stress level that I am in at the moment. The three mouth ulcers in my mouth is the testament to that. So, what should I do? 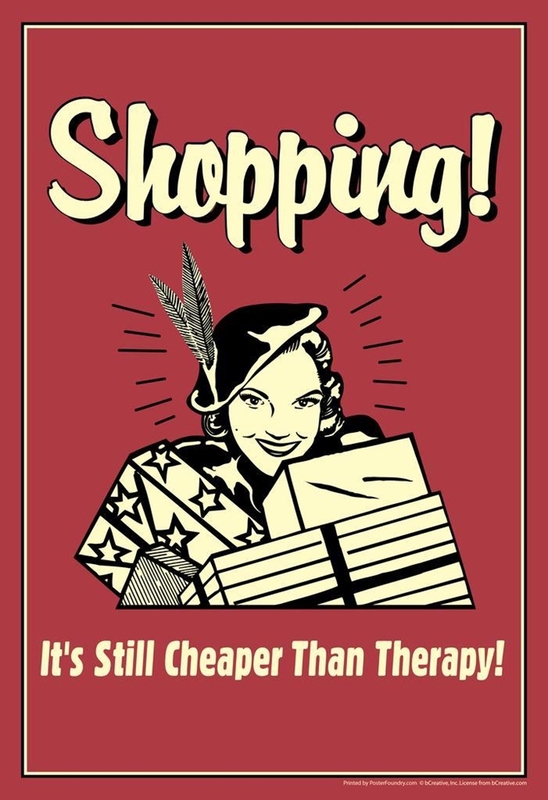 I do agree that shopping is much cheaper than therapy. Especially when you shop online with all the coupons, the cash back and the discounts! I love to shop (coz for me, shopping is therapy) but at the same time, I would appreciate it very much if I could save more so that I can buy more! And the best thing to do is to search for amazing online deals. So when I visit my favorite online shopping portals, I realised that there will be amazing deals that will be happening on 27 March 2019. On one of the page, pre-sale is on-going, building up its momentum towards THE DAY itself. 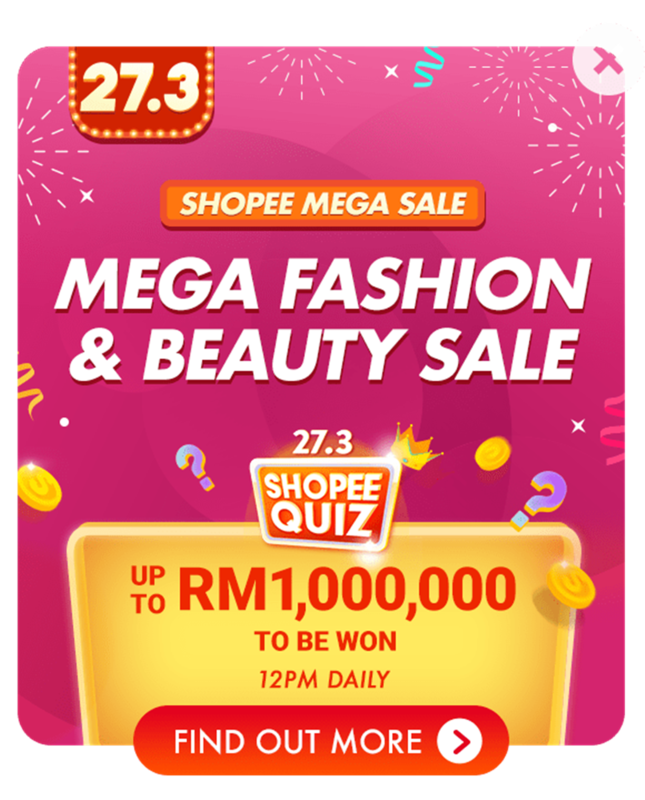 In conjunction with its 27.3 Mega Sale, Shopee is giving away so many interesting discounts and gifts such as RM27 Free Shipping (that's a voucher for RM27 extra free shipping), Spend RM1 and Win where you buy RM1 vouchers to win prizes that will be announced the day after and play the Shopee Quiz daily that will let you win up to RM1,000,000 worth of prizes. Besides all these massive discounts and activities during the sale, do watch out for Shopee promo codes that could really help you save more than you should. Do you remember seeing those glamorous and huge celebration for a 7 year old online and you wished that you could do the same with your kids too? Now you can - partake in Lazada's 7th Birthday Sale where there is a RM77 Instant Cashback offer (when you top up Lazada Wallet at 7 pm today), deals as low as RM1, electronics at crazy prices as low as RM0.88 and so many more items (some are open for price slash too). For those who shop (regularly) at Lazada, it is a given to use a Lazada Voucher to rake up even more savings. How could I not indulge in all these amazing super saving sales? And then I search again for amazing coupons/ vouchers or amazing deals that these two portals have for its sales items. On average, I will spend at least RM200 for my monthly beauty and health products but as time and age catch on, I need more assistance which equals to higher spending! Should I settle for less? Should I opt to just let go? NO! All these vouchers and promo codes are in conjunction with Lazada's 7th Birthday and Shopee Mega Sale, both are happening on 27 March 2019. And when it is a birthday or a mega sale, you know that they will be bestowing lots and lots of good and amazing deals for us! You may head to the links to check out the offers there, right after I check it out first and get the offers for myself, first! But men, some stuff is already sold out (some codes too). So you better hurry and scavenge whatever that they have left (don't worry - there are so many deals). Take your time to go through the list and choose wisely. That is the lesson that I learnt to save more while I shop online - search every nook and crook to find the best deals, coupon, vouchers and discounts for the items that are already on sale! It is hard work but it will be worth your while, and $$ too! great tips u r giving... save money save cash.. and then can buy more.. wahhahah.. time for shopping..
Wow. . Dah lama tak shopping dekat Shopee .Sekali tu dia esok Shopee buat sale dan diskaun kaw kaw .habis lah jari jemari gatal nak shopping esok kat Shopee .kena tahan nafsu ni . Arghhhh rawlins. Please don't try to influence me to do online shopping again. I need to save money for something. Haih, i pretend not to read this la.. I DAH lama tak shopping di shopee ke lazada.. sebab banyak komitmen la lately... Insha Allah ada extra bajet I nak cari baju cecantik nak sopink hehehehhee.... nak melawa juga p sana sini heheheh..
Wah! memang tak boleh lepas peluang ni to shop shop shop. I memang kaki online shopping I have spotted some items yang i nak on sale.